From the moment I read the blurb for Edge of Chaos by Molly E. Lee, I knew I had to read this book. You see, I have a thing for extreme weather. Like a big thing. I don’t think I’ve ever read a book, let alone a romance novel, that explored extreme weather and meteorology, so with that fact along I was hooked into this book. I also have a thing for emotions that are sure to pull at all of mine, and I could tell just from the blurb that Edge of Chaos would do just that…and boy was I right. To say that I felt the emotions of this book is putting it mildly. I felt it all in Edge of Chaos. This book had the best blend of adrenaline pumping moments, heart squeezing emotion, and more thoughtfully crafted and varied moments than you can shake a stick at. Edge of Chaos was exciting, it was enthralling and wholly mesmerizing to experience, and from the second I started it I could not put it down to save my life. Along with that captivating experience it gave me, this book also gave me so many emotional moments that I felt every bit of. Every moment of pain and hurt, every moment of strength and fight, every moment of longing and hope, and every moment in between of these characters journeys was one that I lived, breathed, and felt every ounce of. I felt this book, I felt its characters, and I lived through every page of this engaging story with them. 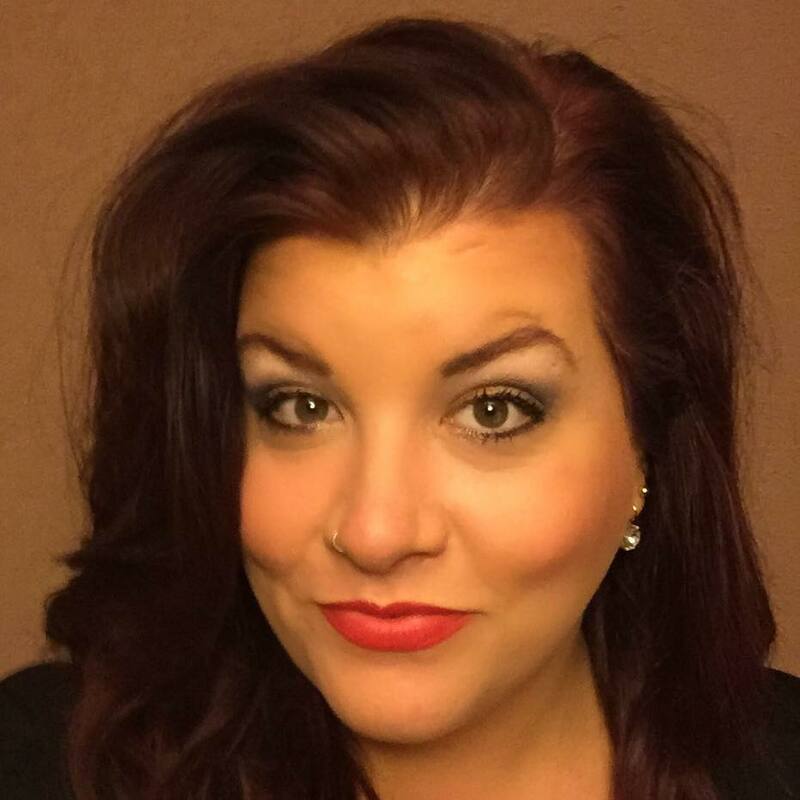 Molly E. Lee completely blew me away with this story of love, self-discovery, excitement, and of course storm chasing that is sure to set your heart racing just a bit. Blake’s journey and fight. Blake definitely has a bit of an emotional journey in Edge of Chaos. She’s got to discover who she is, what she really wants, and what she is and isn’t okay with. She needs to face some hard truths, and make some even harder choices, and getting to experience that journey with her through every page of this book connected me to her character in so many ways. That journey made this book for me, and it illuminated so much about Blake’s character. It showed the fire that that girl truly had, it exemplified the strength and tenacity that she had within her all along, and it showed that Blake was bound and determined to figure out exactly what she wanted, and exactly what she needed and was missing all along. Getting all of that with Blake had me loving her to pieces, and I truly could not get enough of her character. She was real, easy to understand and root for, and I found her to be such an authentic female character. Overcoming the toxicity of the past. Now a huge part of Blake’s story centers on the emotionally abusive relationship she has with her boyfriend Justin. As much as I hated that Blake had to go through what she did with Justin, I understood everything she thought and felt with him because of how fantastically Molly E. Lee connected me to her character. This author let me understand Blake, her shared past with Justin, and with the glimpses of both past and present I understood how things got to be in the present of this book. Much of Edge of Chaos shows the emotional journey and fight Blake goes on in order to end the toxicity that she has with Justin. Reading and experiencing her overcoming that painful past pulled at every single one of my emotions, and connected me even more to Blake because I saw how hard it all was for her, how much she fought, and how she gave it her all to try to be in the exact place she needed to be. I need a little Dash of that. Dash Lexington is what storm chasers are made of. He’s charming, smart, and a tad on the reckless side. That man stole my attention from the moment he entered the story, and I could not get enough of his goodness, his allure, and just everything that he was. What I loved about Dash is that he really felt like this force to be reckoned with, and he was definitely someone you noticed and felt through every moment, yet he was still genuine and good. I never doubted his intentions or his growing feelings for Blake, and the more I read Edge of Chaos, the more I fell under the storm and power that Dash was. I was smitten to say the least, and really I was completely in love with who he was, what he was all about, and all that he did for Blake in this book. Build, build, and more build. Now Dash and Blake definitely don’t have it easy in this book. They both have current relationships that aren’t going so hot, and they both have this undeniable connection for one another that they can’t deny. Their shared passion of storms and weather, along with that electric chemistry and heart melting ease they share when they’re together had me loving every interaction they shared. Each and every moment with them was different, was heated and enrapturing in its own way, and added to the immense build between those characters. Their relationship grows, evolves, and builds like crazy through every page of Edge of Chaos, and I was consumed by every bit of that. Blake and Dash’s connection, their feelings for one another, and how it all builds had me loving those two with all that I had. Twisters and Storm Chasers, Oh My, Oh My! I said it before and I’ll say it again, I love me some extreme weather and storm chasing, and that aspect was weaved so perfectly into this book. It made the book so exciting, so vivid and vibrant, and so easy to hook into. Like I said, I could not put Edge of Chaos down once I started it, and a huge part of that was because I was so enraptured by the science and the storms and the adrenaline pumping moments that Molly E. Lee so thoughtfully crafted in this book. I loved that the extreme weather aspect complimented these characters so well, and that aspect of the book showed so much about Dash, Blake, and all of the rest of the crew while simultaneously pulling me in even more to what I was reading. It felt so real to experience too, and that had me loving every single bit of weather and storm chasing I got in Edge of Chaos. Writing that had me loving it all! Molly E. Lee’s writing brought Blake’s character and this entire book to life, and I loved everything that that writing gave me. Her writing was so fluid, so easy to sink right into, and it created a world that was so believable, so authentic, and almost tangible at times. Her writing also crafted and created some serious emotion that had me feeling it all, and I for one could not get enough of what that let me experience while I was reading Edge of Chaos. I can’t wait to get my hands on more of this talented author’s writing, and I definitely have my fingers crossed for more of these fantastic characters soon. 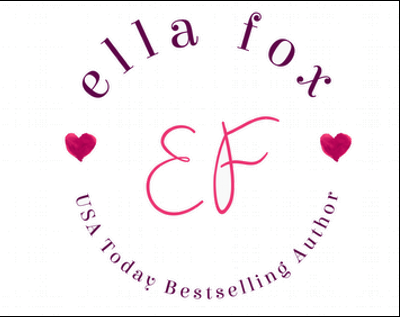 Edge of Chaos is a book that seamlessly blends a story of love and a bit of heartbreak, hard choices and truths, and what can happen when you really discover what you want for yourself and what you truly deserve. It’s a story of extreme weather and how far your passions can take you, if you only allow yourself the chance to embrace them. It’s also about what can happen when you meet that one person who can change everything in more ways than one, and how that person just might be the exact thing you need. This book was mesmerizing to say the least, and the story within its pages was one that I thoroughly enjoyed getting to experience. Experiencing that story and falling in love with the characters I got to meet along the way made this book an all-around outstanding read that gave me everything I was looking for. 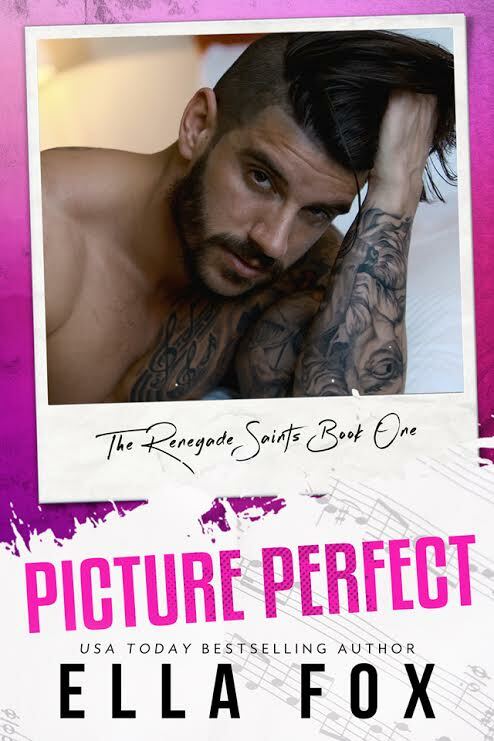 It had the romance and heat, the connection and feels, and it had the varied and phenomenal level of emotion I crave and need when I read. It also had the wonderfully distinctive moments and experiences that came with storm chasing and extreme weather, and that along with everything else in this book made is so fantastic to read. I am telling you that you need to read this book and give it a chance to win you over with everything it has. Edge of Chaos has outstanding writing, a story that you won’t soon forget, and characters that will glue themselves to your heart in no time flat. 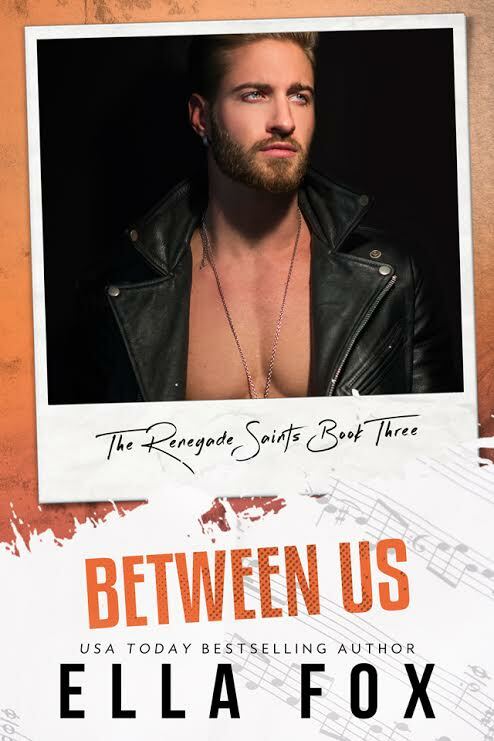 You will love and feel and experience every word of this book, and that will have you loving every bit of what you get with Blake, Dash, and the rest of the gang in this fantastic book. 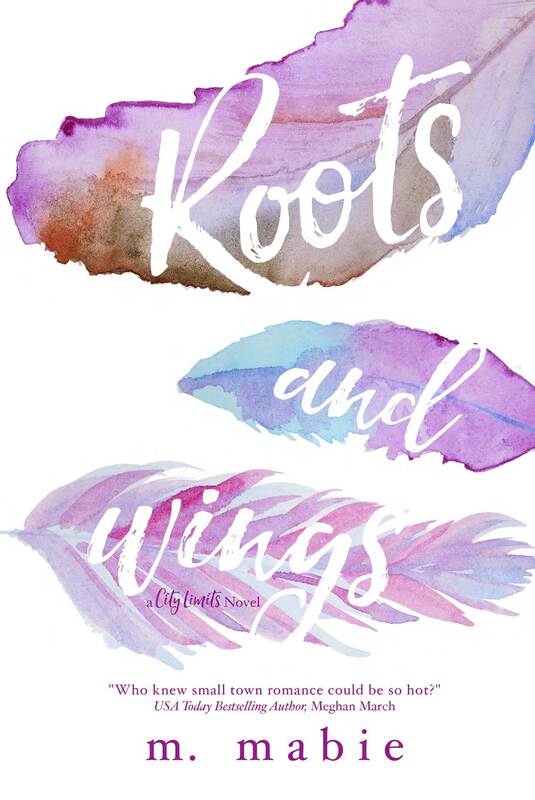 Y’all, I can’t tell you enough how much you will LOVE this book, and how much you NEED it in your life, so be sure to put it at the top of your TBR list this instant because you need to get to meeting and falling in love with Roots and Wings!! Of Note: 20% of all royalties earned from the sale of the box set will go to the Reach Out and Read Charity. Also, the box set will only be available until April 15, 2016. After that, the stories will be split up and sold individually for $2.99 and up. This is a review of Foolish Expectations by Alison Bliss. Foolish Expectations was another charming, perfectly heated, and completely enjoyable read by Alison Bliss. From the very first word until the very last, I was wowed once again by this author’s undeniable talent for creating such a distinct level of humor and charm, for crafting dynamic characters that jumped rooted themselves right into my heart, and her ability to create an authentic connection that just doesn’t quit. Her writing wholly submerged me into this book, heart first, and I could not stop reading it to save my life, and better yet, I didn’t want to stop because it was just that good. This book was lively, had the best kind of vibrancy and charm with two unforgettable characters, and it gave me a story with the best level of feels, emotion, and fierce chemistry laced all the way through. Foolish Expectations had it all, and I loved every bit of everything that it was giving me because when you read a book as good as this one, there isn’t anything not to love. Now it’s no secret that I am a huge fan of Alison Bliss. I have read each and every one of this author’s books, and they just keep getting better and better. Her writing is so fluid and easy to sink right into, and the stories she creates are so thoughtfully crafted that they completely take you over when you’re reading them. She always gives me a story that fantastically blends the right amount of everything into a book that is sure to give you one fulfilling reading experience. Looking for a book with fierce characters that have a dynamic that will have you equally laughing and smirking and blushing through every page? Then this is the book and author for you. Looking for a story that will completely melt your heart from start to finish, and pull at your emotions in the best and most all-feeling way? Then run yourself, don’t walk yourself, to Foolish Expectations. (Or any of Alison’s other phenomenal books.) Looking for an enrapturing book that packs the most superb level of heat and story and fun and meaning into one fantastic package? Well then you guessed it, Foolish Expectations is for you, and I truly can’t say that enough. I loved this book, and everything within it. Bailey and Nash’s story was full of their sparkling personalities, their unadulterated chemistry, and more humor, heat, and heart than you can shake a stick at. It had it all, and as I sit here writing this review, I just can’t help wanting and feeling like I need to read their story all over again to experience the literal amazingness that is them. Bailey’s got some fire. Bailey was a character that I completely loved from the start. The fire shot out of that girl like fireworks on the Fourth of July, and I loved that she wasn’t afraid to tell it like it is no matter what. She was spunky and real and that fire that emanated from her made her so easy to love because it showed the fighting spirit she had. What I also loved about that fire was that with it, I also got to see a more vulnerable side to her too. I got to see what happened when that fire went away, and when those doubts and fears came in and how that affected her. Alison Bliss created her character in such a way that she let me understand and get every part of Bailey. She let me understand her fears and trust issues and where they came from, she let me get why she was scared and why she shielded her heart, and she let me get where that fire came from and why Bailey needed it, and that just had me loving her character to pieces. Bailey was strong yet soft, sassy yet guarded in ways too, and a firecracker to say the least, and that is just part of why I loved her so much. Nash is a man with a heart of gold. 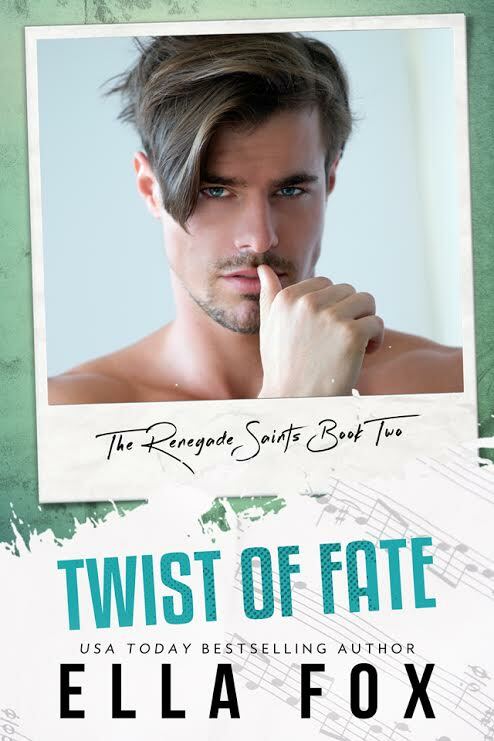 Now Nash Sutherland just about had me from the moment he locked eyes with Bailey in Foolish Expectations, even if she was bound and determined to give that man a run for his money. That man is a charmer, and I truly mean that, as he will have you eating out of the palm of his hand in no time flat because that’s the presence he has. He is charming and sweet and will just about melt your heart every chance he gets, but more than that, he is just an honest to goodness good guy. That’s what shined through the most about him, and that was probably my favorite thing about him. (You know besides the fact that he could melt me with just one look and smile!) He was real and honest and true with his feelings for Bailey, and he was determined to show her that what they were sharing was real and meant something. I loved that that goodness shined through every page of this book, and even when he had those moments of doubts or questions, he was still that good guy I knew him to be, and that just made him golden in my eyes. One undeniable connection. Bailey and Nash’s connection hits the ground running from the moment they lock eyes in Foolish Expectations, and it doesn’t stop for a second. Not for one single second. Their connection is full of heat and passion and need, and it’s something that neither of them can deny. As much as they might fight it from time to time, and as much as it might make them a bit unsure of what’s happening between them, it’s there, it’s real, and it’s practically palpable. Alison Bliss creates and evolves that connection in a way that is perfect for what Bailey and Nash are sharing. Though their connection never wavers, she couples that fierce connection with the ups and downs they face in a way that works so well and makes sense for them. It also makes the love story they share that more real, undeniable, and full of heartfelt feeling that you won’t soon forget because of the tangible connection Bailey and Nash share. The pains of the past. Both Nash and Bailey have things from their past that come into this story and threaten the connection that they can’t escape. She’s guarded and has trust issues from the last time she opened her heart, and he’s got some family drama that tends to cloud his thinking and reasoning from time to time. They both have pasts and they both have ramifications from those pasts that work their way into this story, and Alison Bliss weaves it all together in a way that fits their characters and everything that they’re sharing in Foolish Expectations. As much as I hated that they had to experience the pain and doubts that their pasts brought them both, I got it, and I completely understood why they felt the things they did because of their pasts. Understanding their pasts made me love them all the more, and it allowed me to understand them both on such a deeper and meaningful level. Some good ol’ southern charm. Now like any of Alison’s books, these characters and the world they’re in have the best, and I mean best, southern charm that is sure to have you feeling the southern love in no time. That charm is so distinctive, so vibrant, and so fun, and Alison Bliss weaved it all into Foolish Expectations in the best and most memorable ways. She makes the world of this book come to life with all of that charm and sass, and it makes everything you read in this book that more meaningful, that more fun, and that more undeniably southern in the most fantastic way. I loved that charm and everything it allowed me to feel with Bailey and Nash something fierce, and I truly couldn’t get enough of the vibrancy and effervescent spark that charm gave off through every page. Foolish Expectations is a story about what happens when life throws you a couple of curve balls you never quite expected. It’s about what happens when you end up down a road you never thought you’d be on, a road full of twists and turns, and a bump or two. It’s about taking risks with your heart, letting go of the past even though it’s hard, and seeing where that new road, that new journey, and all that it has to offer can take you, as long as you give it all a chance and get in the damn car. Let me tell you, you need to get in the damn car and take that chance with Nash and Bailey. This book was fantastic in every single way. It had dynamic characters that were vibrant, real, and so easy to love and root for. 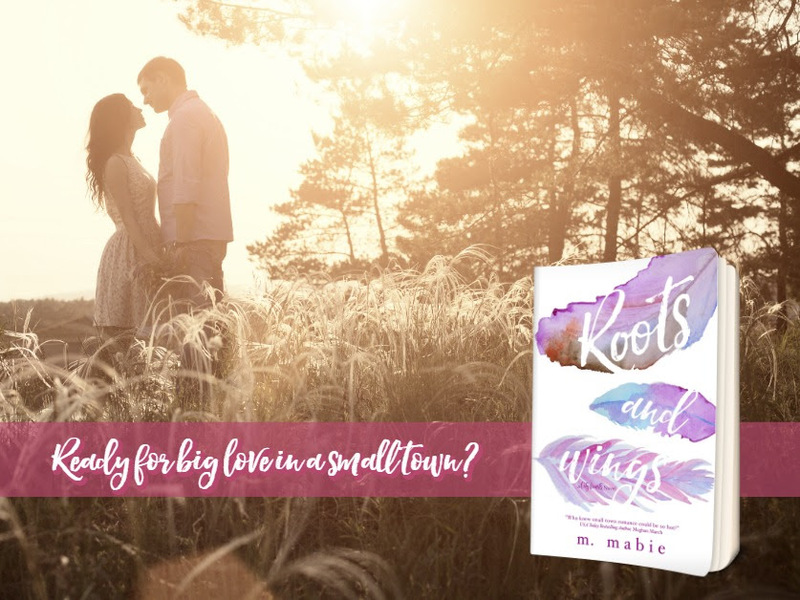 It had a sparkling story that was completely captivating from start to finish, and burst with the best level of connection, charm, and feeling that is sure to melt your heart in more ways than one. It also had Alison Bliss’s phenomenal writing that brought it all to life in the most all-feeling and memorable way that will seriously have you loving this book, these characters, and everything they have to offer in no time flat. Simply put, Foolish Expectations is a must read book that gives you everything that makes a book exceptional. If I could give this book more than 5 stars I would, because it was that undeniably good, that undeniably fun and heated and wonderful, and that undeniably memorable all the way through. Alison Bliss rocked every single aspect of this book and its characters. She let me be there with them through it all. She let me feel everything they were, she let me understand them in the most authentic of ways, and she invested me whole heartedly in everything that Bailey and Nash were sharing, and it truly doesn’t get better than that. 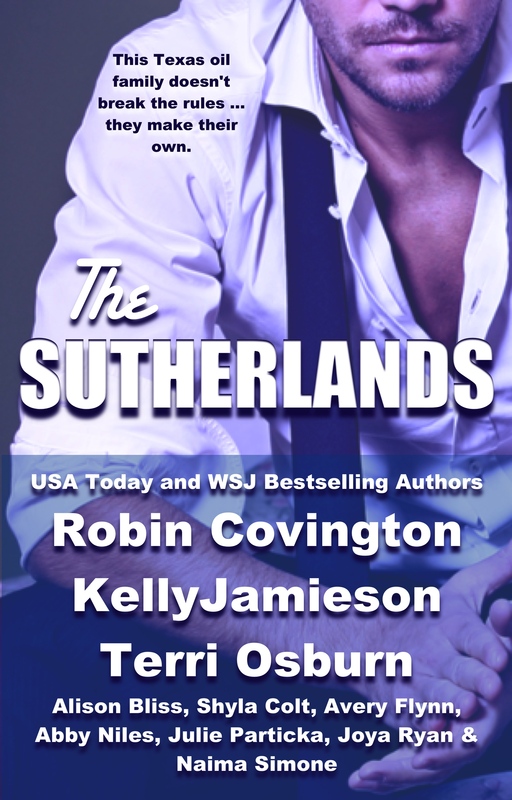 This is the perfect addition to The Sutherlands Anthology, and I for one can’t wait to experience and get more of this author’s utterly fantastic books, stories, and characters real soon! Get the book for just .99 cents today before the price goes up! Jack was the guy who could change the whole game. He was quite possibly my soul mate. But time and circumstance were against us—there was no easy way around it. I was moving back to New York in two weeks and his sister, Aubrey, was the one person my family hated most in this world. How would his sister—the enemy—deal with another Edwards girl claiming what she believed was hers? The idea of letting Jack go crippled me. Would I have to cut ties with the only man I’d ever let into my heart? From just the prologue of this book, I knew without a doubt that Freeing Destiny by Faith Andrews would be a book I wouldn’t soon forget. That very first page, and that very first chapter really, had me so beyond ready for what this book would give me, and I knew I would love it. I just knew. Sometimes you just know when you start a book that you’re going to love it, that it’s going to give you everything you want and need, and that it’s going to blow you away with everything it has…and Freeing Destiny by Faith Andrews did that. It did all of that and so much more. By the end of this book I was so enraptured with this soul touching story, so in love with these amazing well rounded characters, and so emotionally touched by this story, that I truly didn’t want it to end. When I tell you I loved this book, I mean that I LOVED this book. It was beautiful, full of heart touching meaning, and bursting with more thoughtfully crafted feeling and emotion than you can shake a stick at. I felt every word with these characters, I lived and breathed it right along with them, and I fell harder than I thought I possibly could for Jack and Stella. From beginning to end I was in full on, swept off my feet, let me feel it all, love with these characters and their breathtakingly emotional story. Now I have to say I wasn’t surprised one little bit that I loved this book so much, or that I felt so deeply connected to it, as this is a book by Faith Andrews. I have read every single one of this talented author’s books, and she never fails to deliver a story that will make me feel everything, will pull at my heart more times than I can count, and will literally give me it all in one meaningful, fulfilling, and mesmerizing package. Freeing Destiny was no different, and I think it just might be my favorite of Faith’s books to date. There was just something so real, so magical, and so destined about what Jack and Stella were sharing, and they both touched every part of my heart through Faith Andrews’ stellar writing. Freeing Destiny was one of the most emotionally touching stories I’ve read. It was full of beautiful meaning, had a powerful love story of two authentic and amazing characters, and had the perfect balance of fate, destiny, and romance that you will not forget anytime soon. The events of Freeing Destiny follow Jack and Stella, two people who share an instantaneous connection that literally sparks off the page, as they try to see what could happen if they give into the fate and destiny and take that proverbial leap of faith. From the moment these two’s eyes meet, they can’t look away, and more than that, they don’t want to. They can’t stop looking and thinking and wanting to know more about one another… There’s just a slight problem: she’s moving away to New York in just two weeks, and his sister is the one who tried to destroy her mother’s life and happiness. The odds seem to be stacked against these two, yet they can’t seem to stop wanting to discover the possibilities of what they could share together. She’s cautious and guarded with her heart, and he’s bound and determined to find his way into it. He’s a man who’s never believed in settling down, yet one look at her changes everything he’s ever thought before. 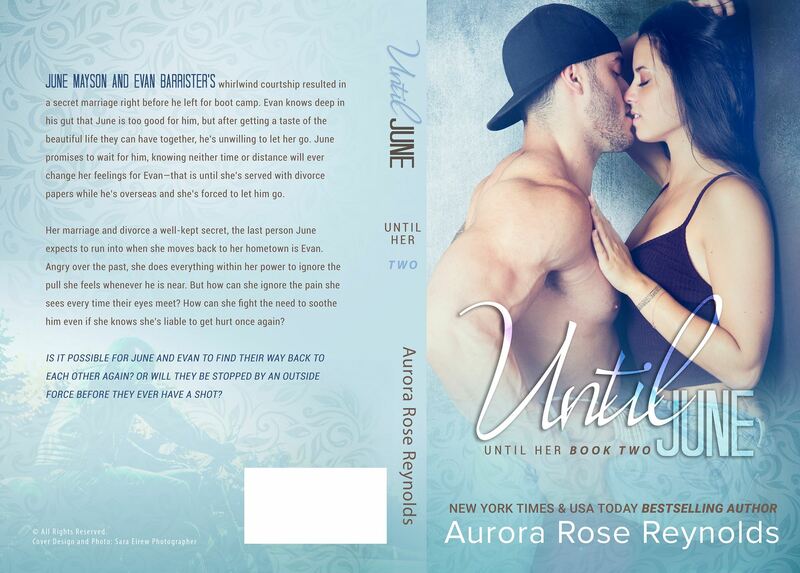 She’s never been one to take a chance on love or deviate from her plan, yet one look at him changes it all. He soon needs her like his next breath, and he doesn’t want to let her go. Just as quickly, she’s questioning everything she thought she knew about what she wanted and what comes next, and she can’t stop falling hard and fast for him. Even though circumstances are against them, and there are quite a few things threatening to tear them apart, Jack and Stella decide to take that leap of faith and embark on a journey together that will change their lives in ways they never expected. Freeing Destiny is their unforgettable story about the amazing, beautiful, and breathtaking things that can happen when you take a chance, risk it all, and see what destiny and fate and love can give you, if you only open yourself and your heart up to it. I am telling you now that their story will touch you on every emotional level, and you will feel and experience every ounce of this book with them because of Faith Andrew’s vivid writing. She puts you in this book, heart first with them, through every moment of romance, every touch of heat, and through every instance that will break your heart just a bit. She lets you be there with them through it all, through every twist and jaw dropping turn, as Jack and Stella see if they can make it all work through everything that comes their way. The level of emotional connection you feel towards their characters will make this book mean everything to you when you read it, and it’ll allow you to fall so hopelessly for the two of them, as they do the same with one another. You will be hoping with all you have through every page that these two can find a way to make it all work because you will know with every beat of your heart and every breath on your lips that these two are destined to be together. It’s pretty suffice to say that I loved Jack and Stella’s characters with everything that I had. I loved that Jack was just a good guy, and that you knew that through every page. His tenacity, his charm, and his true feelings for Stella had me loving that man in a heartbeat. The more I got of him, the more I knew that he was man doing all that he could to be with the woman he needed. Stella’s character was so easy to relate to on every level, and I found her to be very real, so so sweet and good natured, and a genuine person with a heart of gold. I loved that she took everything that came her way in this book in stride. She never wavered and she fought with all she had, and I have a serious love and mad respect for her after reading this book. Like I said, the connection those two share is out of this world, and it will soon find itself into your heart. The sparks literally fly between Jack and Stella, and those sparks continue to fire and dazzle and mesmerize you with all that they have. Their relationship might go from 0 to 60 in no time (much to Jack and Stella’s surprise, I might add), it might break few rules, and it might have these two questioning everything they thought they wanted and knew, but their connection and their need for one another can’t be denied one little bit. Every moment of questioning and wonder they have, every fear and doubt that enters their mind, every leap of faith they take with their heart, every single bit of feeling they share with everything that comes their way, and every moment you get with them that makes you blush or melt or break or fall is worth it because what Jack and Stella share is everything. It’s fated, it’s destiny, and it’s full of effervescent spark and magic that can’t be denied no matter what way you look at it. 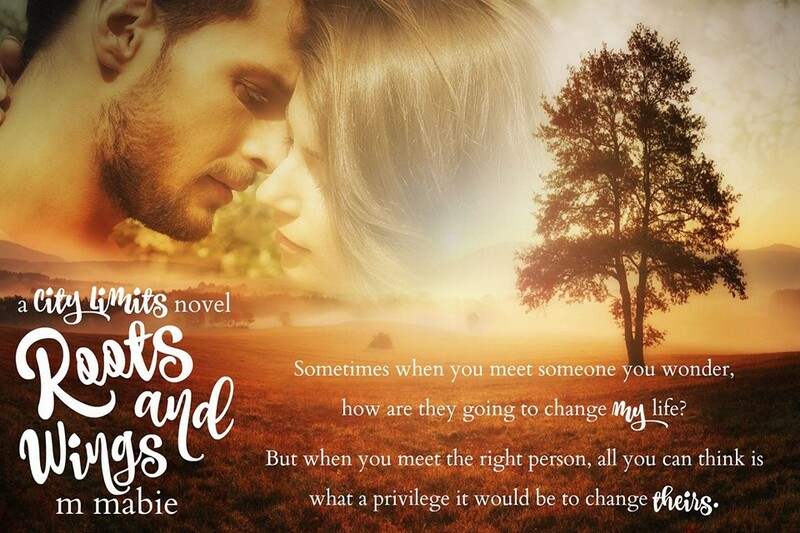 Faith Andrews not only wrote a love story that I felt and embraced every word of, she gave me such a fulfilling reading experience that wove together superb supporting characters, a fantastically crafted and paced story, and the best twists and turns you don’t see coming. It’s no secret that this series is one of my favorites, so it felt a bit like coming home to be with all these wonderful and distinctive characters again. The connections that all of these characters share is real, deeply felt, and weaves its way through this story in such meaningful ways. I really can’t tell you enough how much I enjoyed feeling that connection along with everything that Jack and Stella were sharing because it made me feel like I was a part of this story and this family. Freeing Destiny is about love, life, and taking chances. It’s about what can happen when you give yourself over to fate and destiny, and the beautiful, emotional, and life changing things that can come your way when you take that leap of faith and give that love and feeling a chance to grow. It’s about believing in what you feel, and having the fight and tenacity and determination to see it all the way through even when it’s tough or scary or even when it means going into the unknown. It’s about finding that one person who changes you, who changes what you think and feel and want. It’s about finding that person who changes everything, and how that everything sets you on the path you were always meant to be on, and even though that path might be bumpy and different and you might not know what’s around every corner, it is oh so beyond worth it. And really, in the end, this book is about love. True, soul touching, deeply felt, can’t get out of bed because it means leaving my love, love. Getting to experience that level of love and adoration, along with everything else Faith Andrews so phenomenally creates and crafts makes Freeing Destiny a book you need in your life and your heart this instant. This book will move you, touch every part of your heart and soul, and in the end you’ll just be grateful you had the chance to experience everything that it so breathtakingly and beautifully gave you with Jack and Stella.